I have trouble thinking of ideas for blog posts. So I suppose the most easiest thing to talk about is me! So what can I tell you about?????? I will talk about computer games. Yes I am a gamer and I live with a partner who is also a dedicated gamer as well. We don't spend all our spare time playing computer games, oh no that would be borderline madness but lets just stay that we have spent a whole weekend playing a game and only stopping if need be. However we haven't done this for a long time. Anyway one of the things that we both love to play are flash games. Little games that you play on the internet to waste time (or to avoid doing proper work). Now for all you oldies out there you will remember point and click games. 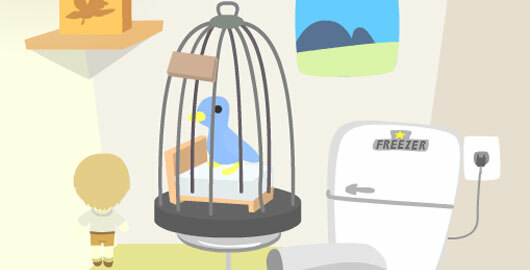 Games where you will spend all your time clicking the screen to pick up unusual objects and then using them in manners which would leave you wondering "why did I do that!". One of those such games are the Minoto Escape games. These are a series of surreal games where you use objects to achieve a happy (but pointless) ending but the graphics are so cute! Not to mention you will get some genius English translations which have often caused more confusion. After you have played 10 adventures in a row, you will begin to get the gist of the game structure however when you first play one it is confusing. Okay the adventures will not stretch your brain capacity but it is a charming way to spend your time on the internet. Kimono Fashion Show - WE NEED YOU! Kanzashi for the winner of Our Big Day for 10K!